The final report on Permanent Resident Certificate (PRC) issue will be ready within this week and would be submitted to the government, informed chairman of Joint High Power Committee and cabinet Minister Nabam Rebia on Saturday. The JHPC final meeting which began at the conference Hall of Principal Secretary Home & Political here today afternoon at was attended by majority of the members. JHPC Chairman and senor Cabinet Minister for Land Management, Environment & Forest, SJETA and Indigenous Affairs Nabam Rebia inform that the meeting is almost completed and was successful. Every pros and cons on the PRC issue was discussed. We discussed all issue on the PRC and we will send our recommendation to the government. On what condition the PRC would be issued and everything was discussed. He informed . 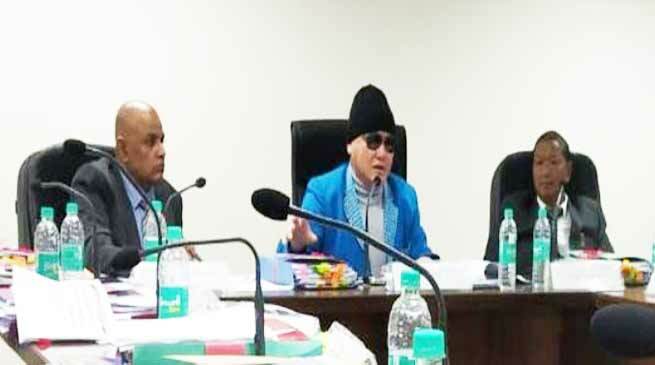 Arunachal: Khandu announces Tough Location Allowances for Govt Employees.